Hanoi Grapevine got a quick catch-up with Mr. Tran Luong and Vietnamese artists at Singapore Biennale 2013. “This Biennale has undergone lots transformation from its core. 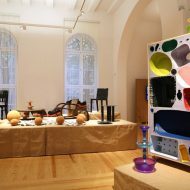 The exhibits do not stop at “fixed objects” but interact a lot with audience and put them in experience by using all five senses: see, hear, smell, taste, touch”. 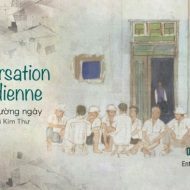 Vietnam has 10 art works by 11 artists presenting this year in different locations: Singapore Art Museum (SAM), 8Q, National Museum Singapore, National Library. 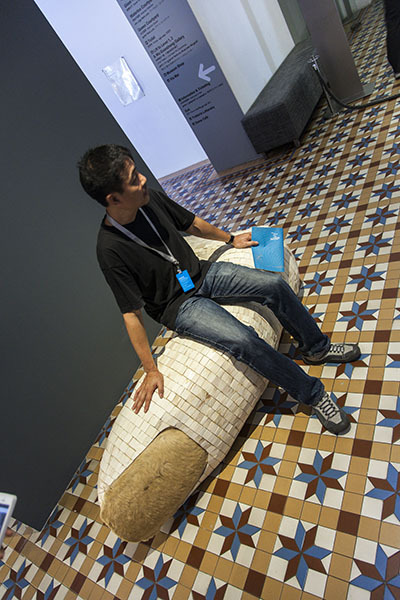 Let’s have a quick tour and see who they are and what they present in Singapore Biennale 2013. 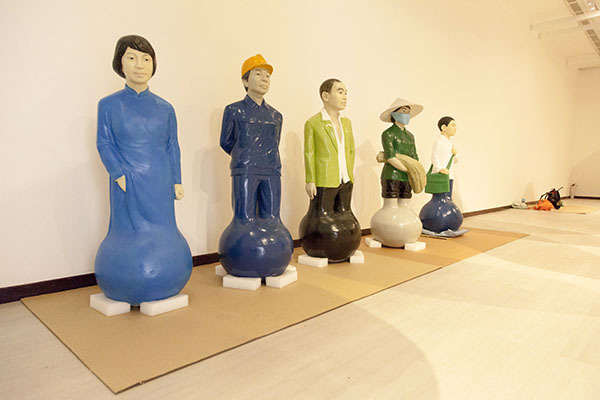 Coming to this Biennale, right in front of SAM, you can see and play with Nguyen Tran Nam‘s sculptures. Nguyen Tran Nam was born in 1979 and currently lives in Hanoi, Vietnam. He is a multi-disciplinary artist who explores through his works an interrogation into the human psyche and modes of behaviour and interaction. 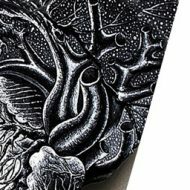 His works often employ humour as a tool to further expound on the reciprocal influence between human and nature. 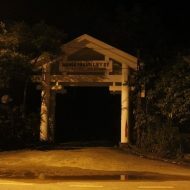 Selected exhibitions include ‘Hinterland’, Luggage Store Gallery, San Francisco (2012); ‘Gap’, Nhasan Studio, Hanoi, Vietnam (2010); ‘Indefinitely’, Ryllega Gallery, Hanoi, Vietnam (2008). 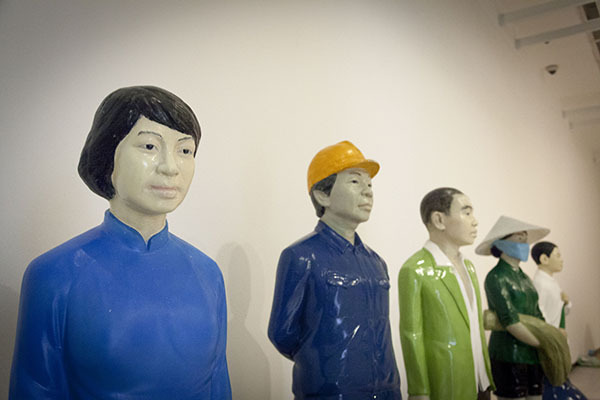 “We Never Fell” – The five sculptures in this series allude to the structure of the family unit and their attire represents a wide range of Vietnamese society, from rural farmers to the working class. They symbolize a complex history that has transgressed from one generation to the next. 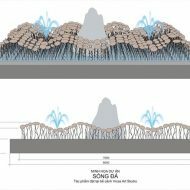 The sculptures can be destabilized or set off balance by the viewer’s interaction with them, evoking Vietnam’s tumultuous past and the consequence of continuous displacement and change. The artist stands in awe of human adaptability and aptitude for survival in the face of such disruptions. Challenging the idea that human existence is fragile, this piece demonstrates human resilience and tenacity: the harder one beats down on these sculptures, the stronger they bounce back in recovery and retaliation. If you look out for a place to sit down and rest, you might touch Tran Tuan‘s “Forefinger”. Actually we should call “Index Fingers” as there are four of them made from different materials. Tran Tuan lives in Hue City, Vietnam. Tran Tuan (1981, Vietnam) negotiates between present day narratives and the inherited realities of the past in order to engage with concepts of mediation and reconciliation. 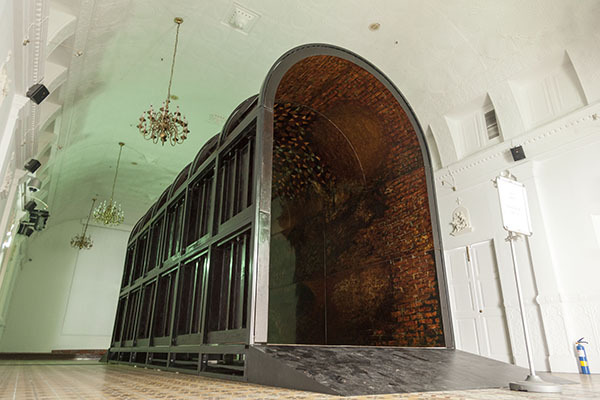 Select exhibitions include Transformed Cloud, Hue City Commission (2012); Nặng bồng nhẹ tếch, Festival Hue (2010); Dialogue, Goethe Institute, Hanoi (2004). 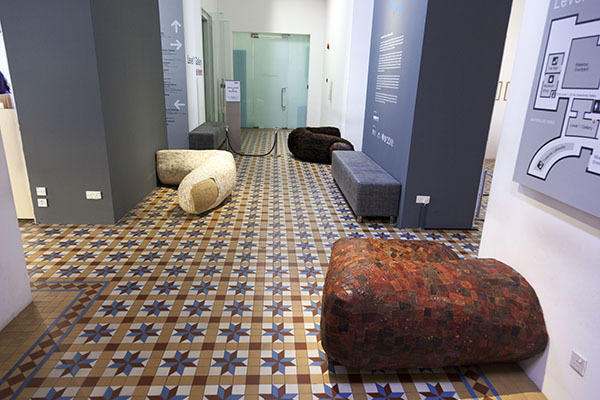 Forefinger – Clothed in a dizzying array of exotic materials – such as carved animal bone, cow hide and crocodile leather – Forefinger evokes lavish furniture pieces belonging to the powerful and the wealthy, while drawing attention to the sacrifices of war victims and unresolved post-war trauma. The forefinger is the “trigger finger”, vital to every soldier; anti-war activists would cut off their index fingers to avoid military conscription. However, the resulting handicap is perceived by the younger generation as an unwelcome reminder of the inherited baggage of war. In situating one’s loss as an accessory of aesthetics and pleasure, Tran highlights the need to reframe the negotiation with the past – the absence of a finger should affirm the presence of the greater fight for peace. Entering the courtyard of SAM, you might want to get some water and wash your hands. Which part of this “little soap boy” will you touch? How do you want to interact with him? The art work was received differently in various cultures. How will Singapore Biennale audience interact with this little boy? We are definitely curious to see. 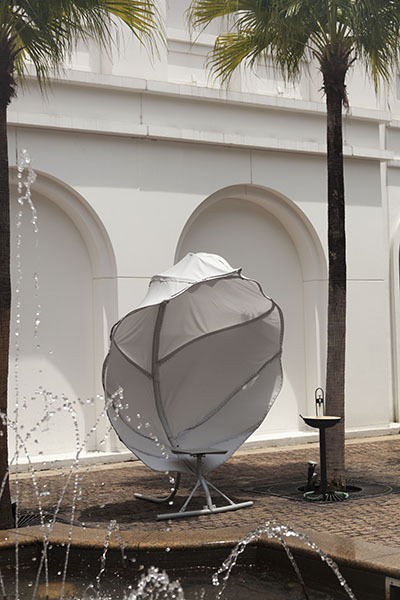 This is the first time Vu Hong Ninh joined the Biennale and the first time in Singapore as well. Born in 1982, Vu Hong Ninh seeks to make critical observations about tendencies in human behavior in relation to societal values and modes of operation. 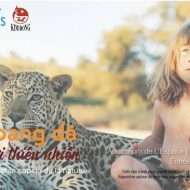 Selected exhibitions include ‘Boom Boom’, Hue Festival, Vietnam (2010); ‘LimDim’, Stenersen Museum, Oslo, Norway (2009); ‘Recovery’, Saigon Open City Project, Vietnam (2007). “Little Soap Boy” draws its inspiration from a variety of visual iconography: Manneken Pis, a statue representing the rebellious spirit of Brussels; the Shakyamuni Buddha, from whose teachings Buddhism originated; and Renaissance paintings of angels. Fused together with an insolent display of a middle finger, the Little Soap Boy is endearing, yet vulgar and offensive. Using a child to express blatant defiance against authority is a strategy to shock and stimulate viewers out of any state of apathy. The interactive component of lathering soap by rubbing one’s hand on the sculpture hints at rituals practiced in Buddhist temples, calling to attention the materiality and reverence accorded to the idea of art, which the artist challenges through the artwork’s gradual deterioration. Going up to the second floor, you should check in the Chapel “Specula” by Nguyen Oanh Phi Phi. 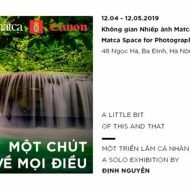 You might recognize this easily if you ever attended her exhibition in Hanoi City Exhibition Hall in 2009. 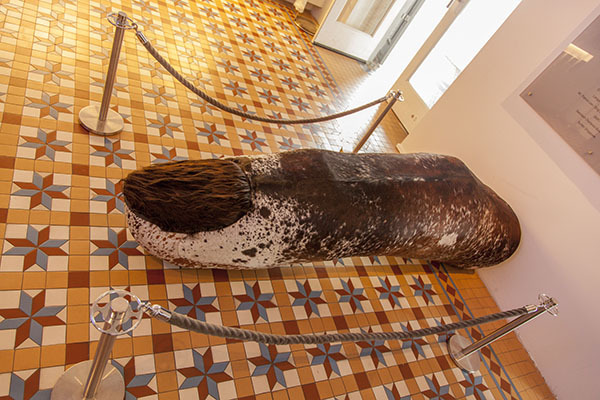 Read more about Oanh Phi Phi and the other Vietnamese artists at the Singapore Biennale. Tran Thi Minh Hue has been with Hanoi Grapevine since late 2009 and is now one of the co-owners. She successfully completed her 16-month MBA at Asian Institute of Management in Manila, Philippines in 2012 and currently divides her time between Hanoi and Singapore. 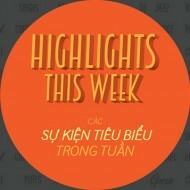 Hue is in charge of business development, grant proposals and strategic planning for Hanoi Grapevine. 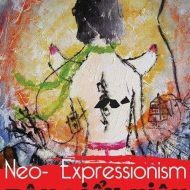 She also contributes articles and photos from various art events in Singapore.